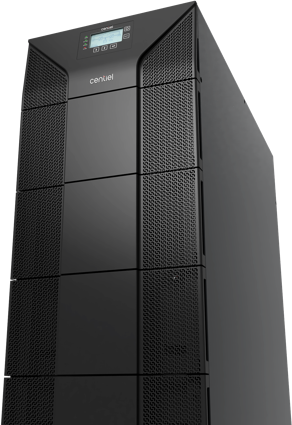 PremiumTower™ is a Swiss made 3-phase, online double-conversion Uninterruptible Power Supply. 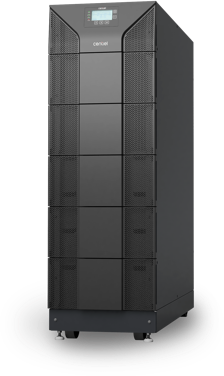 From 10 to 60kW, PremiumTower™ provides the best solution for small and medium data centers, comms rooms, IT networks and any mission critical application demanding high availability and unbeatable energy efficiency. 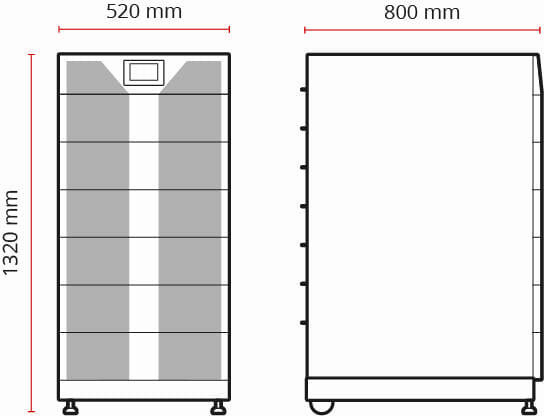 PremiumTower™ offers built-in internal batteries from 10 to 60kW minimizing the footprint utilization, eliminating extra costs for external battery frames and avoiding complex installation. The flexibility in the number of battery blocks (30 to 50) allows the system designer to optimize costs vs autonomy time. At the same time, the high efficiency of 96.6% in double conversion (VFI) and 99.4% in Ultra-safe ECO mode guarantees maximum energy savings and the lowest Total Cost of Ownership. PremiumTower ™ provides unity power factor which avoids the need for system over size to support today’s power factor corrected loads. 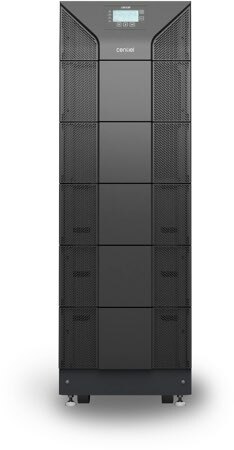 With a best in class efficiency of 96.6% in double conversion mode (VFI), PremiumTower ™ provides the lowest Total Cost of Ownership. With the ability to provide up to 5 times more charging current than typical standalone ups, PremiumTower ™ reduces the total system cost by eliminating the need for external battery chargers. With a 124% continuous operation in overload condition, mission critical applications can be safe on the event of unexpected load demands. With a 99.4% efficiency in Eco mode operation and an ultra fast reaction time of <1.9 ms, Ultra-Safe Eco mode enables an excellent trade-off between power quality and energy efficiency. With a Short Circuit Capability of 3 times nominal current (3 x In), PremiumTower ™ is able to clear output circuit protection in milliseconds. If galvanic isolation, voltage step-up or voltage stepdown is required, PremiumTower ™ can integrate the transformer within the same UPS increasing the flexibility on system development. 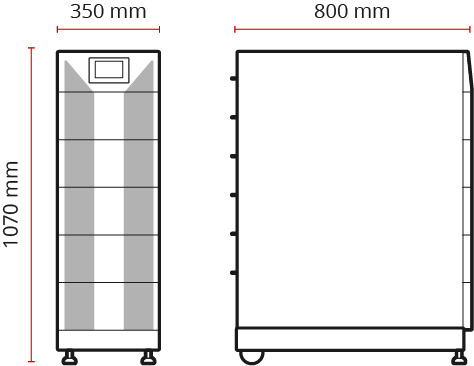 With only 0.29 m2 for 10 /20 kW and 0.44 m2 for 30/40/60 kW, PremiumTower ™ optimizes valuable floor space, eliminates the cost of the battery cabinet, and simplify the installation. Direct access to components and plug-and-play internal modules minimize mean time to repair (MTTR) and simplifies routine maintenance. Internal batteries are possible for the whole product range. Up to 150 battery blocks can be fitted in the PremiumTower ™, reducing the total footprint and optimizing costs. With a wide and flexible battery range of 30 to 50 blocks, costs and autonomy time are optimized. Developed and manufactured in Switzerland, PremiumTower ™ provides the highest standards of quality in components and manufacturing processes approved by the Swiss made label. Developed and manufactured in Switzerland, PremiumTower ™ provides the highest.